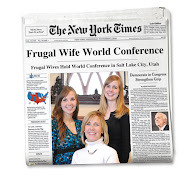 Frugal Wife = Wealthy Life: Giveaway Winner! 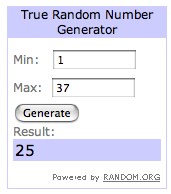 Well, I'm probably not the only one who thoroughly enjoyed reading through all the giveaway comments. I thought it was especially nice that you all took a moment to think about what you were grateful for -- what a great reminder for all of us. What wonderful things to be grateful for! Email us your address at frugalwifewealthylife@gmail.com and we'll get your book sent off to you! Congratulations! !